Restrictions: Please contact Danny Sifuentez from Jump on the School Bus at 805-895-6338 to schedule your private tour! Description: Pastor Cesar Magallon and Associate Pastor Mario Torrez will host a dinner with eight of your favorite people. Chef Herrera will prepare for you an unforgettable dinner as he will create a specialty menu for this great event. Wine will be paired with your meal. The Priests at the Rectory will provide everything you need so you can enjoy your evening. Restrictions: Please email Past Cesar Magallon at: cmagallon@olssb.org to schedule your dinning experience. Restrictions: Please contact the Franciscan Inn to schedule your stay. Description: Enjoy a lovely dinner prepared by tonight’s Chef Kyle Jones. Chef Kyle Jones, CEO and Founder of Craft Catering, will prepare for you an exclusive dinner. Chef Kyle will start by creating a menu to suit your needs. Craft Catering will provide all the set-up and staff, so that you will fully enjoy your evening dinner with guests. 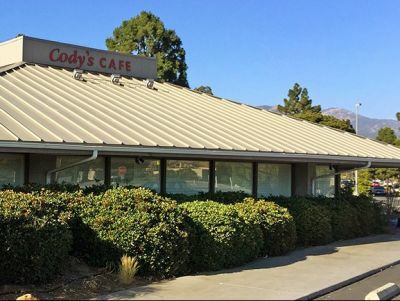 Restrictions: Call Chef Kyle Jones at 805-450-9715 to set up your preferred date. Description: Super Cuca's will provide food for 50 people. Rice, beans, tortillas, salsa and your choice of meat for all your friends, and you don't even have to cook. Restrictions: This certificate expires on Feb. 2, 2020. 2 weeks advanced notice to place order. This Gift Certificate cannot be replaced if lost or stolen! Void if copied or altered. No cash refund. Restrictions: Gabriel "Fluffy" Iglesias show is Thursday, May 16 at 8:00 pm at the Arlington Theatre. 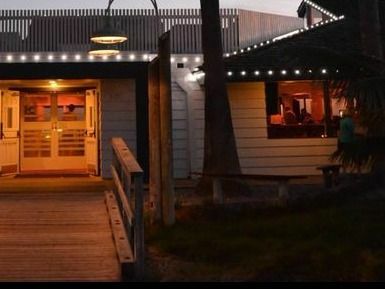 Harbor House Inn requires a 2 night minimum stay on Friday or Saturday with a maximum occupancy of two. Restrictions: Certificate is nontransferable and may not be exchanged for cash. Redeem by April 30, 2019. Description: Enjoy Andrea Bocelli Live in concert at the Hollywood Bowl! This prestigious golden-voiced opera tenor is sure to touch your heart and create memories to last a lifetime. Included are two tickets for this amazing performance! This memorable concert will take place June 19, 2019. Restrictions: This memorable concert will take place June 19, 2019. 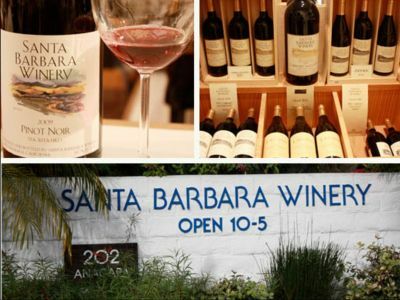 Description: This Exclusive VIP package for 2 includes: Up-front access to opening ceremonies at the historical Santa Barbara Mission Tickets for two to La Fiesta Ranchera and La Fiesta Pequeña. Seating for two at the downtown parade: El Desfile Histórico. Two tickets to La Celebración de Los Dignatarios, where all-inclusive drinks are paired with the beautiful scenic sunset views of the Pacific from the Santa Barbara Zoo. Restrictions: Must be used for 2019 Fiestas. Description: This basket includes: breakfast or lunch for two at Bonnie Lu's Country Cafe, two bottles of extra virgin olive oil and balsamic vinegar, two wine tasting certificates and two bottles of fine wine from Topa Mountain Winery, orange blossom honey, one year family membership to the Ojai Valley Museum of History and Art, gift certificate to Agave Maria's restaurant and cantina, and one night stay at the Chantico Inn and Suites. 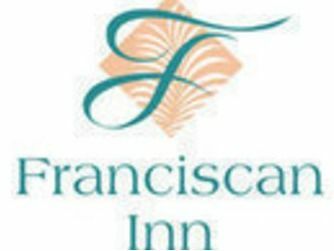 Description: Two nights in a Franciscan Suite at the Franciscan Inn. Restrictions: Expires 2/20/2020. Not available in July, August or on National Holidays. Advanced reservations are strongly recommended and based on availability. MUST PRESENT CERTIFICATE AT CHECK-IN. 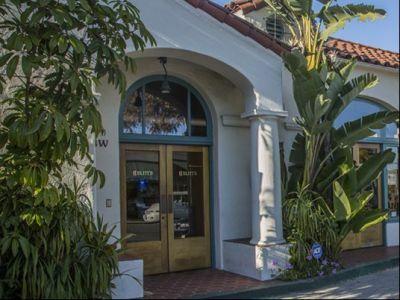 Description: $300 in services at Evolutions Medical and Day Spa, Santa Barbara's premiere medical and day spa, where we offer the perfect fusion between the clinical and the luxurious. In our 6,000 square foot facility. We offer state-of-the-art medical treatments to effectively address skin problems and rejuvenating spa services to whisk you away from life's stresses. Santa Barbara cosmetic surgeon Dr. Terry J. Perkins, owner and founder of Evolutions, oversees our highly-trained medical staff who will work with you to achieve the results you desire for issues such as wrinkles, unwanted pigmentation, acne, hair removal, and much more. Our full service day spa invites you to indulge in massage, facials, body treatments, and waxing in a serene, relaxing environment. 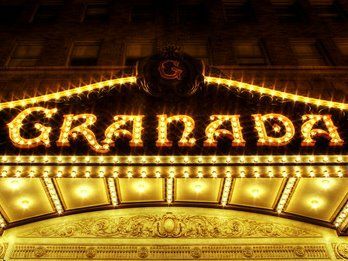 Description: One Complimentary night for two people, including continental breakfast and afternoon refreshments. Description: One family photo session and 25 high resolution digital files. 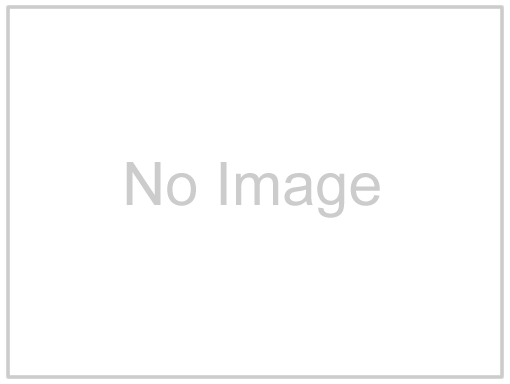 Description: One month Unlimited Yoga at any CorePower yoga studio. Restrictions: Please present card to redeem offer. One time use. Non transferable, cannot be redeemed for cash. 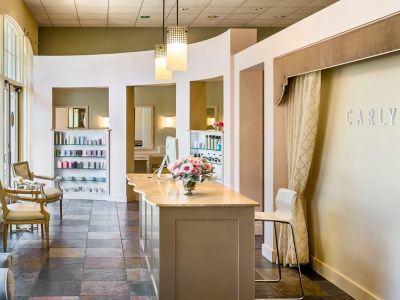 Description: This basket includes candles, towels, a $187 facial gift certificate to Peaches Skin Care, an one hour in-home massage, and a gift certificate for a haircut to Jaz salon. 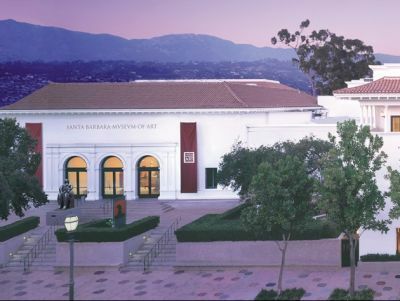 Description: 2 Complimentary tickets for select Santa Barbara Symphony 2018-2019 Classical Series Concert. Restrictions: Must mail in voucher. Not valid for the NYE Pops Concert, Holiday, Family or Pop series concerts, or a season subscription. No exchanges or cash value. Seating subject to availability. Description: Spa Basket includes towel, candle, body lotion, bath salt, and $150 gift certificate to FLOAT luxury spa. Description: This package includes an Alana Smith complete trick board, a Ripper complete board, t-shirt, sticker package, tech deck, and bag. Description: One ticket for gourmet lunch or dinner for two guests, three hour antique train ride with private seating for two. Restrictions: Valid through December 31, 2019. Restrictions: These certificates are valid Sunday-Thursday, February 3, 2019 - February 4, 2020 excluding July and August. Description: One month of unlimited dance classes from the professional instructors at The Dance Network. Description: Two Whale Watching Gift Certificates. There is no better way to see marine wildlife in Southern California than to see it in the ocean from a boat! The Condor Express gives you the unique opportunity to see Southern California marine wildlife from a completely different angle. 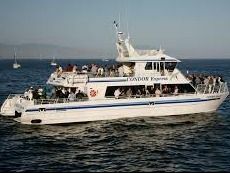 Since 1973, the Condor and more recently the Condor Express, have been a part of the Santa Barbara waterfront and cruising the Santa Barbara Channel. We offer a rare opportunity to have an experience you will never forget. Our experienced captains know just where to go to view all the sea life in their natural habitat. Whales, seals, a variety of birds and other marine animals are always around for viewing. Our crew and captain are ready and able to provide you with an exceptional whale watching experience. Restrictions: This certificate does not have an expiration date, only valid when signed and must be surrendered upon redemption, you must have a reservation. Description: This basket includes two Islands gift cards for $25 each, one Beachside Bar and Cafe gift card for $50, one $100 Captain Jack's Adventures Harbor Kayak tour, one $30 Paddle Sports Certificate, one gift certificate good for two people from Santa Barbara Adventure Company, Five General Admission tickets to the Polo and Racquet Club, and a gift card to Beach house surf shop. Description: This basket includes two Margarita Glasses, one bottle of Tequila, one bottle of margarita mix, one bottle of avocado salsa, one bag of chips, 2 Oaxacan coasters, and one $25 gift certificate to El Sitio. Restrictions: This Donation Certificate is non Transferable, and does not have a cash value. Redeemable is subject to availability, Available Sundays only, and blackout dates will apply. The Value go this donation is $150.00 and excludes Gratuities. Description: This basket includes an handmade flamingo serving platter, flamingo yard art, flamingo towel, flamingo beach bag, and colorful beach blanket. Description: $50 gift card, Uptown Lounge apparel (shirt & hat), Pinot Noir wine bottle, and reusable water bottle. Description: At Alston, we love skin care. We also love the science of skin care. And that’s important for you. It means that in a world overflowing with skin-care products and treatments — and thousands of competing claims — you can relax knowing that our highly skilled, deeply knowledgeable skin-care experts will deliver the measurable results you want. ​ Because we stay informed with the latest products and treatment technologies, we can bring the science of clean, toxin-free skin care to the studio, identifying the best choices for rejuvenating your unique skin and addressing any specific challenges you may have. And because we love to share our knowledge, you’ll have confidence when choosing products to care for your skin at home. ​ We invite you to visit our studio. It’s a friendly, comfortable place with brick walls and black-and-white photographs that make women, men and teens feel welcome. Or shop our carefully selected products online. Either way, you’ll discover the natural attraction of pure skin science. Description: Classic square leather and suede purse. 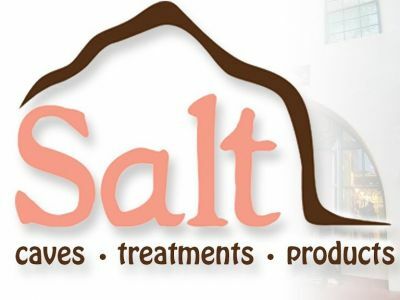 Description: $125 Gift Certificate to Salt, the largest underground crystal salt cave. Restrictions: This certificate cannot be exchanged for cash. Redeemer must be 18 years of age or older. Description: "Pass for Two" entitles bearer to two tickets to any performance of the Ensemble Theatre Company's production of Death of a Salesman running Feb. 7th - 24th. Restrictions: Not valid opening night or special events. Voucher expires June 30th, 2019. Restrictions: Reservations are required. You must mention this pass. Restrictions: Cannot be redeemed for cash. Advanced reservations required. Description: Gift Certificate for a Blowout and Make-up. Description: This basket includes one Oaxacan Clay Comal (Griddle), one Oaxacan Pottery Serving Bowl, one Talavera small bowl, two Mexican Coca-Cola bottles, five spice packets, one hot chocolate package, one enchilada sauce, one mango juice, one bag of beans and rice, cacti measuring spoons, and one yellow serving bowl. Description: Floral print Coach bag. Description: Handcrafted finish turquoise collection purse by Patricia Nash designs. Description: Good for 2 Guests on our Harbor Kayak Tour. 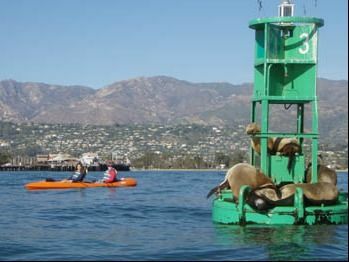 Captain Jack's Santa Barbara Tours conducts guided 1.5 - 2 hour kayak tours of the Santa Barbara Harbor at 10:30 & 1:30 daily. Experience California’s most beautiful harbor on this fun and easy tour. Our professionally guided tour includes a kayak lesson/briefing, all kayak gear and paddles. This tour is the perfect introduction to kayaking and is fun for the entire family. Your tour starts at the boat launch, winds through the harbor, goes under Stearn's Wharf, and out to the one mile buoy. Dolphins, California sea lions, and harbor seals may cruise by to say hello. Description: Original artwork by Lois Hinman. Description: Certificate entitles bearer to one free hour of bowling and rental shoes for up to four people. Come experience open bowling or glow bowling with music. Present this certificate in Z's Tap House & Grill or the quick serve for 1 Large Pizza (up to 4 toppings) and 4 soft drinks. Restrictions: Certificates may not be used with any other offers or discounts. Expires 12-31-2019. Description: Hamilton Coffee maker, two mugs, coffee, crystal storage for coffee, decorative sign, $10 Good Seed coffee gift card, and soft throw. Description: This basket includes a bottle of Woodford Reserve whiskey, mini barrel, and two whiskey glasses. Description: This basket comes with chocolate cream filled wafers, vanilla whirls, candleholder with four candles, milk chocolates, Jack Allen chocolates, butterscotch candies, taffy, one bottle of Old Mission wine, two wine glasses, heart artwork, one pound of See's Candies gift card, and two tickets to the Lobero Theatre. Description: This basket includes a fifty dollar gift certificate, a shoe horn, a pair of bamboo wool socks, and a pair of all natural cedar socks. Description: Sorpresa by Bettina, Genuine leather brown purse for all occasions. Description: This basket includes a two-in-one magnetic dart board, a tipsy tower drinking game, double nine dominoes, four cocktail mixers, and a poker chip set. Description: This basket includes three towels, two stoneware dishes, olive oil, alfredo sauce, roasted garlic sauce, tomato sauce, lasagna noodles, high protein penne noodles, and two utensils. Description: Garden basket with tools, gloves, Spanish herbs, herb plants, garden sheers, wooden plant labels, kneeling pad, and a blooming plant. Description: China porcelain tea jar, tea glass container, kitchen towel set, terry dish cloths, and assorted fine tea bags. Description: This basket includes two wine glasses, one bottle of Chianti Classico, one bottle of Bridlewood wine, one bottle of Acrobat wine, one bottle of A to Z Oregon Riesling, one box of Ferrero Rocher chocolates. 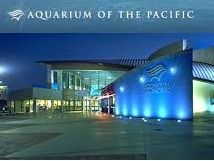 Description: Enjoy a day at the Aquarium of the Pacific in Long Beach. Valid through 12/31/2019. Restrictions: Not valid 5/29 - 9/2/2019. Not for Resale/Void if Stub Detached/No Cash Value. Description: Barbecue utensils, grill thermometer, four original BBQ spices, two BBQ sauces, cutting board, bamboo skewers, electrical lighter, oven mitts. Description: Two yoga mats, two stainless steel water bottles, multi-color bag, and one month of unlimited yoga classes for two. Description: This basket includes Eneloop rechargeable batteries, one gift card for $150 to Star Rug Cleaners, and one gift card for $30 to Ablitt's Fine Cleaners and Launderers. Description: This basket includes popcorn, pretzels, sweet and savory mix, candy, six movie passes, gift certificate for shaved ice, Pizza Man Dan's gift certificate, and a gift certificate to Zodo's for bowling and shoe rental. Description: This basket includes one soft sided cooler, one gift certificate for 2 VIP passes to Stardust Fishing, one gift certificate for Sea Landing 1/2 day of fishing, snacks, and drinks. Description: This basket includes a magnifying mirror, towels, candles, $125 gift certificate to Alston Face and Body for a 60 minute custom facial, $50 Gregories spa gift certificate, and 2 gift certificates to Salon V.
Description: Located on 1100 acres in the tranquil Refugio Canyon, the Circle Bar B offers a variety of amenities for overnight guests: a pool and jacuzzi, a game room with billiards, foosball, ping-pong, satellite TV, an exquisite lodge with a full bar, library, horseback riding, and massages. All rates include fabulous meals. We serve full buffet style dinner and breakfast, along with packed picnic lunches. Restrictions: This certificate is not valid on any local or national holiday and cannot be applied towards the booking of any package or special. This certificate must be presented at the point of check-in and is not redeemable for cash. This certificate is for lodging only and will not be replaced if lost or stolen. Description: The Lobero Brubeck Circle presents An Evening with Derek Douget on March 15, 2019 at 8:00 p.m. This certificate is for two Section "C" tickets. Restrictions: Tickets are subject to availability; please redeem at your earliest convenience. To redeem this voucher, take it to the Lobero Box Office during regular business hours. Dates and times are subject to change. Restrictions: Alcohol & gratuity not included. 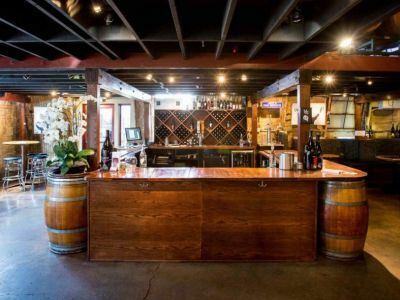 Restrictions: Alcohol and gratuity not included. Description: Japanese sake set, wood chopsticks, sushi roll kit, spring roll kit, Japanese rice, wooden cutting board, ginger & wasabi. Restrictions: Expires 2/12/2020 Not for Special Events. One voucher per event. Vouchers may not be combined. This voucher is not redeemable for cash. If voucher is not used in full, the balance is not redeemable. 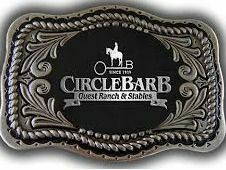 Description: This certificate includes one four pack of unlimited ride wristbands and one $10 game play gift card. Restrictions: Valid through August 30, 2019 with no blackout dates. Description: This basket includes the game of Yahtzee, the game of Life, Pictionary, Jenga, Family ten game set, and a gift certificate for Rusty's pizza. Description: Enjoy four passes to the Botanic Garden which was founded in 1926. The Botanic Garden is the oldest botanic garden in California dedicated to the study, conservation, and display of native flora. 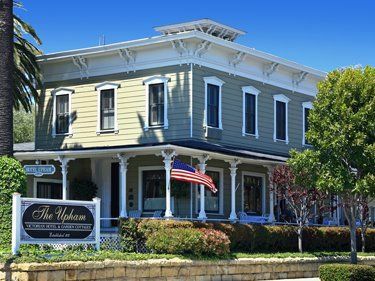 Description: Delve into Madonna Inn’s most popular cake and find that this pretty pink dessert boasts four amazing layers of savory white cake filled with sweet Bavarian cream. Madonna Inn cakes are made fresh daily on-site. Description: Madonna Inn’s Signature Black Forest cake is chocolate perfection. Dense chocolate cake layers overlap with rich chocolate pudding to create a delightful chocolate-lovers-experience that is second to none. Description: Chef Rene of Lucky’s Steakhouse in Montecito created these amazing and delectable treats. Description: Chef Gerardo Lopez has prepared a fantastic traditional coffee flavored Italian dessert. Description: This basket includes an assortment of delicious cheeses and crackers. It also comes with an acacia wood cheese board set. Description: Beautiful jewelry set of silver necklace and earrings. Description: Modern circular art for your wall. Description: Your taste buds will be well pleased with Andersen’s Fresh Strawberry Tarts. Savor the mouth-watering flavors of these individual tarts, featuring a cookie crust bottom, Bavarian cream filling and delectable fresh strawberries on top. Description: This basket includes a candle, bath serums, lotion, and $125 gift certificate to Salt. Description: These delicious lemon bars are made fresh daily and are guaranteed to melt in your mouth. Description: This card is redeemable for a brow wax. Restrictions: Cannot be exchanged for cash. Restrictions: Only for service, not products. Description: Cheesy Chicken Enchilada Soup Mix, Lobster Bisque Chowder Soup Mix, Chicken Noodle Soup Mix, Cheesy Broccoli Mix, Cheesy Potato with Bacon Soup Mix, and two cow soup mugs. Description: This certificate entitles you to TWO complimentary tastings including our Logo Glass. Description: Six mini champagne bottles, six champagne flutes, six charcoal mud masks, 6 mini nail files, $100 gift card to Closet Trading, a champagne pong game, and two $25 gift certificates to The Red Piano are included in this package. Description: Gift Certificate for $16. 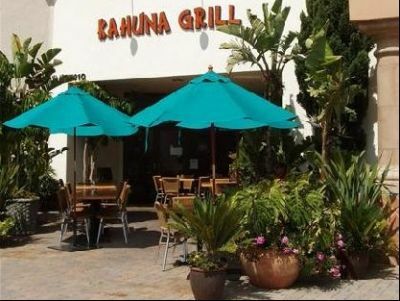 Restrictions: Dine in or Carry Out only. Delivery with additional $10 purchase. Description: ParadICE shave ice is a delicious island inspired treat tantalizing your taste buds from the first to last bite. We start by freezing blocks of purified water. When the ice is ready, we use a block shaver to shave super fluffy snow-like ice into a traditional flower cup. Then we pour our delicious homemade syrups over the top. If you like ice cream, we recommend adding a scoop of ice cream on the bottom of your shave ice to create a creamy base. You can also choose from a few toppings such as Sno-Cap (sweet condensed milk), organic coconut shavings, mochi, and/or Tajin. Description: This basket comes with a candle, $60 gift certificate to Salon Patine, $50 gift certificate to Gregories Day spa, $50 gift certificate to Keota's Hair Salon, and a gift certificate for a brow wax. Description: Please Adopt A Saint and help a child obtain a private quality education.